Professor Vasquez-Tokos received her B.A. in English from Princeton University (1998) and her PhD in Sociology from the University of California, Berkeley (2007). She was a faculty member at the University of Kansas beginning in 2007 until joining the University of Oregon faculty in 2012. 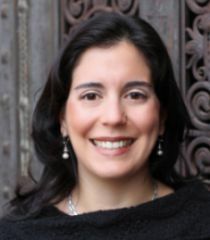 Her research and teaching areas include: race/ethnicity, Mexican Americans/Latinos, gender, family, and intermarriage. Her first book, Mexican Americans Across Generations: Immigrant Families, Racial Realities (New York University Press, 2011, and published under the name Jessica M. Vasquez), is on the racial/ethnic identity formation of Mexican Americans and was listed in Choice 's “Annual Outstanding Academic Titles.” Vasquez-Tokos’s second book on family formation, entitled Marriage Vows and Racial Choices (Russell Sage Foundation, 2017), answers how race, gender, class, and nation of origin matter in romantic unions involving Latinos. She was a Visiting Scholar at the Russell Sage Foundation in New York City and also a Ford Foundation Postdoctoral Fellow at the University of Southern California. Her articles on have been published in Social Problems, Ethnic and Racial Studies (her co-authored 2009 article won the “ Best Article Award” from the Latino/a Sociology Section of the American Sociological Association), Du Bois Review, Sociological Perspectives, Symbolic Interaction, and Sociological Spectrum. Recent articles concern how race, gender, and age affect the interview dynamic (Symbolic Interaction, 2017), how Latinos respond to race-based “controlling images” over their lifetime (Ethnic and Racial Studies, 2017), and how racist mechanisms lead to Latino-Latino same-race intimacy (Social Problems, 2015). Vasquez-Tokos, Jessica. 2017. "If I Can Offer You Some Advice: Rapport and Data Collection in Interviews Between Adults of Different Ages." Symbolic Interaction 40(4):1-20. Vasquez-Tokos, Jessica, and Kathryn Norton-Smith. 2017. "Talking Back to Controlling Images: Latinos’ Changing Responses to Racism over the Life Course." Ethnic and Racial Studies:1-19. Vasquez-Tokos, Jessica. 2015. “Disciplined Preferences: Explaining the (Re)Production of Latino Endogamy.” Social Problems 62 (3): 455-475. Vasquez, Jessica. 2014. "Race Cognizance and Colorblindness: Effects of Latino/Non-Hispanic white intermarriage." Du Bois Review: Social Science Research on Race 11(2):273–293. Vasquez, Jessica. 2014. “The whitening hypothesis challenged: Biculturalism in Latino and non-Hispanic white intermarriage,” Sociological Forum 29 (2): 386-407. —. 2014. "Gender across family generations: Change in Mexican American masculinities and femininities." Identities: Global studies in culture and power 21(5):532–50. Vasquez, Jessica M. 2010. "Blurred Borders for some but not 'Others': Racialization, 'Flexible Ethnicity,' Gender, and Third Generation Mexican American Identity." Sociological Perspectives 53(1):45-71. Vasquez, Jessica M., and Christopher Wetzel. 2009. "Tradition and the Invention of Racial Selves: Symbolic boundaries, collective authenticity, and contemporary struggles for racial equality." Ethnic and Racial Studies 32(9):1557-75.